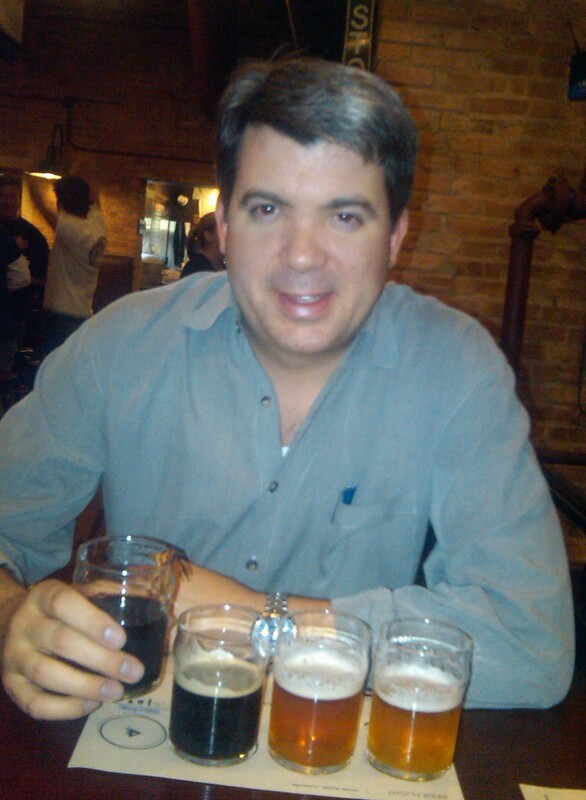 I found the time for beer touring during my last trip to Chicago in April. I hit three places that I would call “must see” for any beer enthusiast: Piece, the Map Room, and Goose Island. As I wrote in my last post, I’ve enjoyed the beer and pizza at Piece on many occasions. 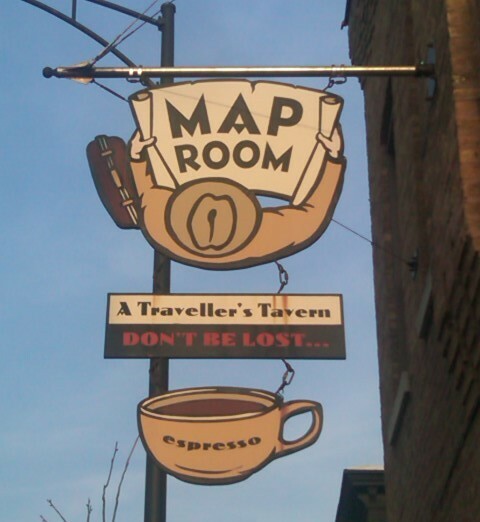 But I had never been to the Map Room, a beer bar that’s been on my beer to-do list for a long time. I arrived in the late afternoon to a crowded bar but plenty of open tables. I loved the free pretzel rods at every table and the maps decorating the walls. On one wall there were bookcases full of stacks of old National Geographics. There’s nothing contrived here — the Map Room is just a well-worn neighborhood beer bar with an awesome beer menu. It was tough to leave the beer selection of the Map Room, but they don’t serve food (aside from the pretzel rods), and it was time for dinner. Next stop: the Goose Island Clybourn brewpub. Needless to say, I had some interesting beers at Goose Island. I’ve had beer served with a slice of lemon and a slice of orange, but never a slice of bacon — the Maple Bacon Stout was awesome! I also enjoyed the Belgians and the IPAs. The food and service at Goose Island are great too! With Piece, the Map Room, and Goose Island, there is no shortage of worthy beer destinations in Chicago. Sounds like an awesome beer place to be. I’m interested in the bacony beer. they make so many! how can one choose? guess you have to go back again.